Don’t you just love Sunday mornings? It appears to be the time of the week when the media entice us with their biggest and best transfer rumours. It’s almost as if they put them to one side waiting for this exact moment. To illustrate this point perfectly, the red-top publication, the Sun, leads the way with the sensational news that Chelsea are looking to add a world-class striker to their squad, with the name in the frame being none other than Mauro Icardi. Icardi, 25-years-of-age, would be an ideal addition to the Chelsea starting eleven and our source believes that a move could be possible with all not being well between the player and his current club, Inter Milan. Following something of a contractual stand-off, Icardi has been stripped of the club captaincy and rumours linking the Argentine international with a move to Real Madrid appear to have dried up, with our source reporting that the Spanish club are reluctant to do business having been put off by comments made by his stunning wife Wanda, who also happens to be his agent. Another point that could sway a deal Chelsea’s way is that Icardi is only on £170,000 a week, not the biggest of wage when it comes to what he could earn in the Premier League. 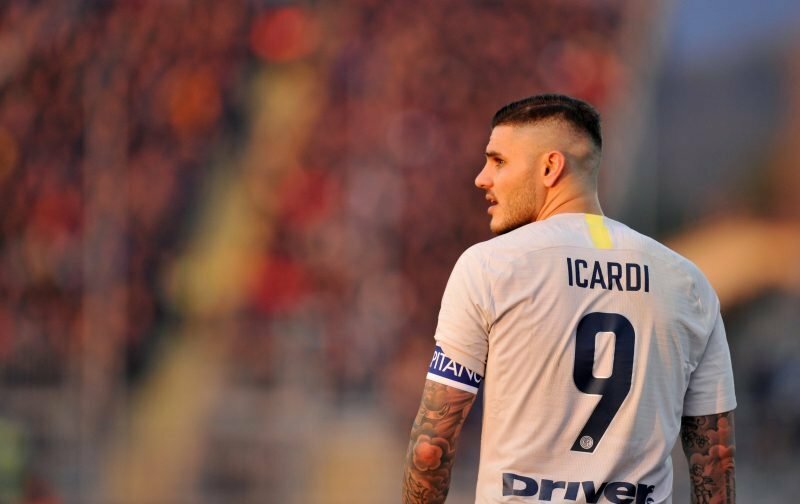 However, if Chelsea are to stand any chance of luring Icardi to Stamford Bridge, you feel that Champions League football, next season, would be a necessity. But what are your feelings on any move for Mauro Icardi, is it something that would get your blessing? Well I hope the hierarchy at the Stamford bridge look into it In an indebt manner to see changes that will bring progress to the club executed with out any double mind, we the fans of Chelsea football club are always at the receiving end when things go wrong in terms of players performances on the pitch,if we borrow a leaf from man city fc,you will find out that they are almost invincible for the fact that they always go for young and good players irrespective of the price tags,who ever that is playing the role of hiring players for the club should watch it,it is not all about the gain but the game,any club that does not put the interest of the supporters ahead of anything can never do well,most of the fans are not London based so we get to feel the connection to our Darling club through the Installation and hiring of the best and capable hands to run and man the affairs of the club ,poor run of results break fans,most of us are suffering hypertension pls save us thanks. TOXIC!! A better signing from Inter would be Monaco loanee N.Keita. That’d be a signin’ in the ilk of a D.Drogba fresh off Marseille!